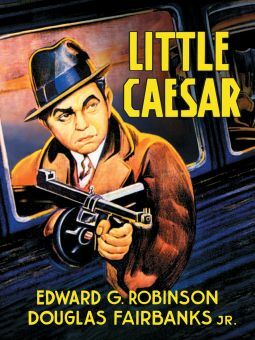 Robert E. Lee, in conjunction with his longtime creative partner Jerome Lawrence, wrote a string of popular plays from the 1950s into the 1990s, of which three were the bases for major feature films. Robert Edward Lee was born Elyria, OH, in 1918, to Claire Melvin Lee, an engineer, and the former Elvira Taft, a teacher. Lee attended Elyria High School and later studied at Northwestern University and Ohio Wesleyan University, where he had his first exposure to theater, both at the university and in amateur community groups. After graduation, Lee worked for a time at the New York advertising firm of Young & Rubicam. In those days, advertising agencies were intimately involved with the production, casting, and even the writing of radio programs (sponsorship entailed virtual ownership, not just advertising on many programs), and one of his successes as a producer was the Railroad Hour, through which he met his soon-to-be wife, actress Janet Waldo. In 1942, in the wake of American entry into World War II, Lee was appointed Expert Consultant to the Secretary of War, and later worked for the United States Army Air Force. It was during that period, from 1943-1944, that he first met Jerome Lawrence. The two co-founded Armed Forces Radio, and started a 50-year creative partnership working on such broadcasts as the Army-Navy D-Day broadcast, and similar programs in conjunction with VE Day and VJ Day. With the return to peacetime and civilian life, Lee and Lawrence continued working together on shows such as Columbia Workshop for the CBS radio network, and Lee earned a Peabody Award for a 1948 radio series produced for the United Nations. His work with Lawrence for the theater started out relatively modestly with Look Ma, I'm Dancin', which had its New York premiere in 1948. It was seven years before their next play, Inherit the Wind, opened on Broadway in the spring of 1955 (by way of a circuitous route through Texas, courtesy of Margo Jones, the only producer willing to take a chance on a drama built around a 30-year-old trial about the teaching of evolution in schools). The play earned a brace of awards, as well as a Tony nomination, and also attracted the attention of Hollywood. Producer Stanley Kramer, then working in conjunction with United Artists, eventually grabbed the film rights, releasing a very forceful screen adaptation in 1960 starring Spencer Tracy, Fredric March, and Gene Kelly. In the meantime, the writing duo offered up the musical Shangri-La (1956), the play Auntie Mame (1956), and the television play Song of Norway (1957; not to be confused with the identically named Wright-Forrest-Lazarus musical vehicle filmed with Florence Henderson in 1970). Their subsequent stage works included The Gang's All Here (1959), A Call on Kuprin (1961), and the musical Mame (1966), for which they wrote the book. By the mid-'60s, they were among the most honored playwrights in America, and their work continued into the 1970s and '80s, encompassing such plays as Diamond Orchid, Dear World, The Incomparable Max, The Night Thoreau Spent in Jail, Jabberwock, and First Monday in October, the latter of which was filmed in 1981. Lee and Lawrence both became among the most revered playwrights of their era, and earned a string of honorary doctorates, and Lee taught as an adjunct professor at UCLA. Their final play, Whisper in the Mind, premiered in 1990. 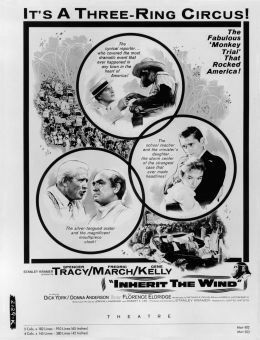 Inherit the Wind was their best-known work and received new television adaptations in the 1980s and '90s, even as Kramer's film found a large audience on television and on DVD, decades after its short theatrical run. 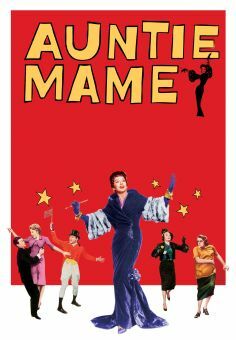 A new adaptation of Auntie Mame was in production in 2004. Lee passed away in 1994, and Lawrence died in 2004.